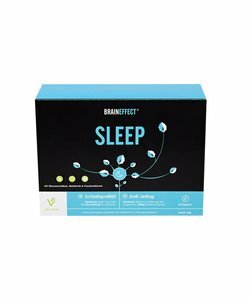 BrainEffect Sleep is a 100% vegetarian nootropic supplement that improves sleep and sleep quality. Package contains 60 capsules, sufficient for 30 doses. 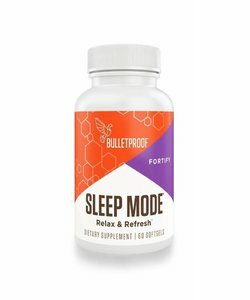 BrainEffect Sleep is a nootropic supplement composed of minerals, herbs and the natural sleep hormone melatonin. Sleep is very important for recovery of the body and good cognitive function. The composition of BrainEffect Sleep is focused on improving sleep and sleep quality, giving you more energy when you wake up. 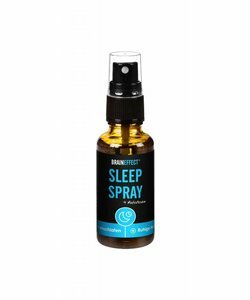 Also, BrainEffect Sleep can be used to reduce the impact of a jetlag or to relax after an intense and stressful day. BrainEffect Sleep contains 100% plant-based ingredients that are easily taken up by the body. Melatonin helps to reduce subjective feelings of jetlag (with a dose of 0.5 mg shortly before bedtime). Lemon balm contributes to relaxation. Lemon balm has antioxidative effects. Take 2 capsules daily 60-90 minutes before bedtime with plenty of water without chewing. For jet lag: take 2 capsules before bedtime on the first day of travel and 2 capsules before bedtime at your destination. BrainEffect Sleep can be used daily or situationally. The effect is noticeable upon taking 2 capsules. Long-term use is possible and safe. Package contains 60 capsules, sufficient for 30 doses. 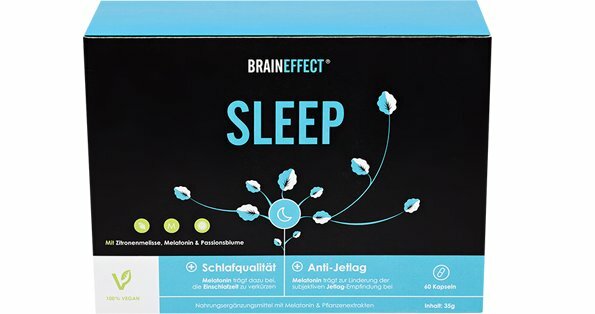 BrainEffect Sleep is a food supplement in the category herbal preparations. Other ingredients: Vegetarian capsule, microcrystalline cellulose (plant-based filler).